Dental Sealant is a thin, plastic coating painted on the chewing surfaces of teeth to prevent tooth decay. 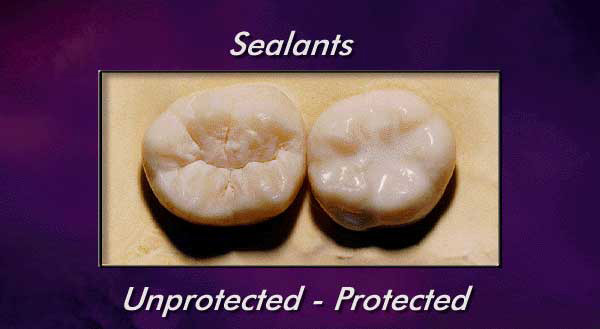 Dental sealants are formed when a plastic-like liquids dripped onto the biting surface of the tooth, coating the pits and fissures that typically trap food and foster bacterial growth. They’re applied to the permanent molars and set with ultraviolet light, ideally between the ages of 5 and 7, when the teeth erupt.